Seton Health and Safety - for People Who Insist on a Safe, Productive Workplace! Our Customers Know the Value of Good Health & Safety! Shopping with Seton makes your business safer, more productive and lowers costs. Work-related injuries and illness cost the UK billions of pounds every year in lost revenue due to production shutdowns, insurance costs and staff loses. And so much of it is preventable. For over 60 years Seton has been one of the UK’s leading suppliers of effective safety solutions. We strive for safety and believe quality products are essential for preventing accidents at work. Creating a safe, secure working environment with happy people decreases costs and increases staff retention and, crucially, productivity. Your workplace doesn’t wait for accidents to happen - so neither do we. Fast, free UK delivery is available on the vast majority of our products. There’s no such thing as “one size fits all safety”. Our in-house production capabilities and easy to use “Creator” tool mean we can produce bespoke Safety Signs with a range of messages, long-lasting Asset Tags that protect property, and a collection of other useful items to increase workplace efficiency. As a Seton customer you will benefit from our expertise and know-how in all things safety related. Staying up to date with legislation might seem daunting, but our invaluable Knowledge Centre is filled with how-to’s, product guides, videos and “Legislation Watch” - a downloadable publication that includes Health & Safety legislation news and features. When buying from Seton you can be certain essential items such as First Aid supplies and COSHH provisions are 100% compliant. Our aim is to make health and safety simple. Legislation Watch - Health and Safety Legislation made simple. With 100’s of informative articles, seasonal product guides and a useful “Ask the Expert” feature; staying compliant has never been so easy. Safety Signs - Health and safety signs are a vital way of minimising risks to people and property. Whether you need mandatory signage, prohibition or warning signs; we have over 20,000 options available for same day despatch. Traffic Control - Traffic signs can be supplied in a choice of materials and finishes. Maintain safety and aid wayfinding by adding speed bumps, traffic cones, bollards and floor markings to your outside space. First Aid - First aid boxes and kits are essential for all employees - even when working remotely. Specialist first aid solutions such as safety showers, resuscitation equipment and biohazard disposal sets are also available. Fire Safety - Fire risk assessments are mandatory for all worksites. They will advise on which fire extinguishers, alarm systems and evacuation equipment is legally required. Seton can supply everything you need to prevent and contain fire risks. COSHH - COSHH regulations must be adhered to wherever potentially hazardous substances are present. Prevention is always better than cure so a range of storage solutions to fit all locations and budgets is available, as well as legally-required spill control materials. 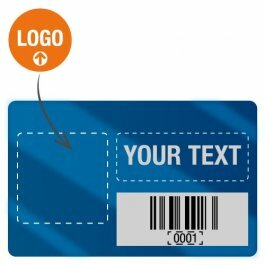 Asset Tags - Customised labels, such as our super-strong SetonGuard tags, are an efficient and cost-effective way of protecting your property. 92% of customers say using asset management saves them over £500 per year.